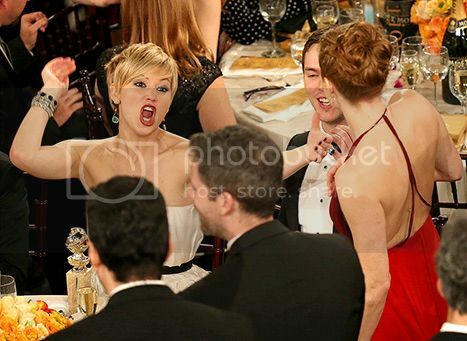 I think it's a safe bet that Jennifer Lawrence will always get her own post. Let's start with the dress. She's wearing Christian Dior once again. I don't like this dress, not even a little bit. I'm guessing you probably don't like it either. My mom texted to say it looked like bedsheets with belts around it. She wasn't alone in this thought. Jennifer's dress quickly became an internet sensation. 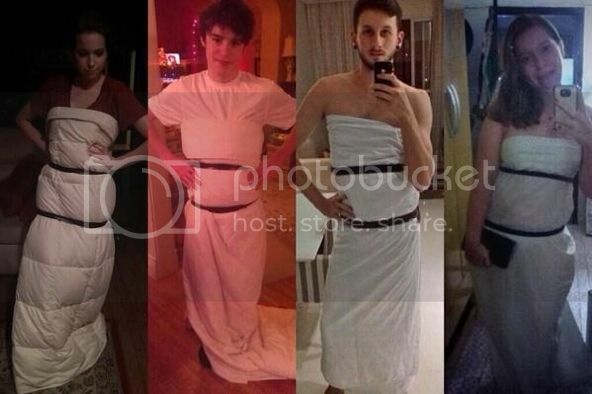 With some white bedding and duct tape, you too can look like a red carpet queen. Before the show, Jen creeped up the stairs behind Taylor Swift and made this amazing face. Oh yes, fans started doing that too. 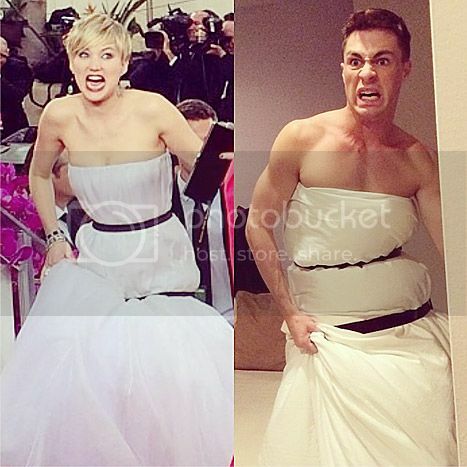 But regardless of the not-so-great dress, we still love our JLaw. 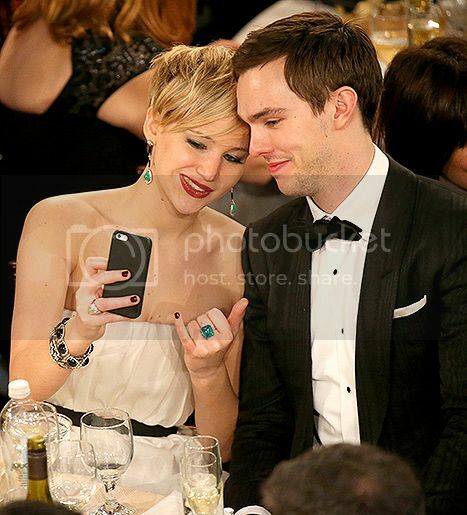 She takes selfies with her beau in the middle of the Globes. She's animated and fun and never takes herself too seriously. most importantly, not trying to be something she's not. I just love how unpretentious she is. 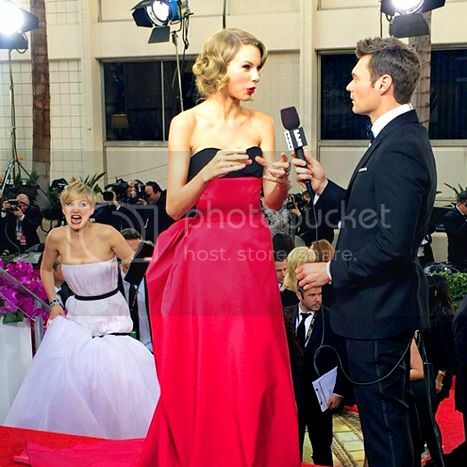 That photobomb behind T-Swift is hilarious!!!!!!! Apparently they are really good friends, so I'll bet they laughed their asses off at that one. I hated the dress too, but the fashion "critics" loved it. Blech! I thought Sandra Bullocks was worse though. Hers was just uggo. Aaron - he's been on my radar ever since Dark Knight, but not before then which is sad. He's a very, very attractive man. Usher - agree with you 100% I love the different color to the tux. I think Usher and JT could pull this off, them and them alone. Elisabeth does look awesome. Again very Florence Welch but done well. Lupita - normally I wouldn't like this but the color of the dress, with her lovely skin tone, and lipstick and simple accessories IS a win! Emma Watson - Usually I'm like WTF when there care pants with a dress but this totally works. She looks amazing. Love Reese's dress, not loving her hair. At all. 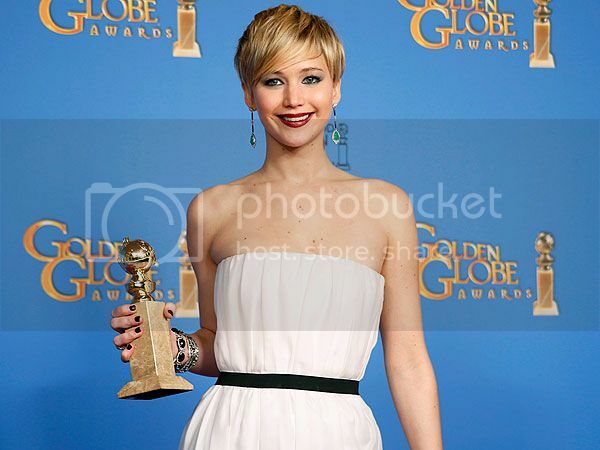 SHIZZ - I commented all that on the wrong entry... so here goes JLaw FTW! I like the dress if she's standing still - this photo looks stunning but seeing her walk up the steps in it looked like a hot toga mess, but care, it's JLAW! ZOMG - Colton's impersonation is awesome (I have a bit of a thing for him, he's on Arrow and I feel like he's probably too young for me, but his jaw line, he's just ... epicly a super hero type guy. I was it compared to the dress Ariel made in the Little Mermaid.. hilars! 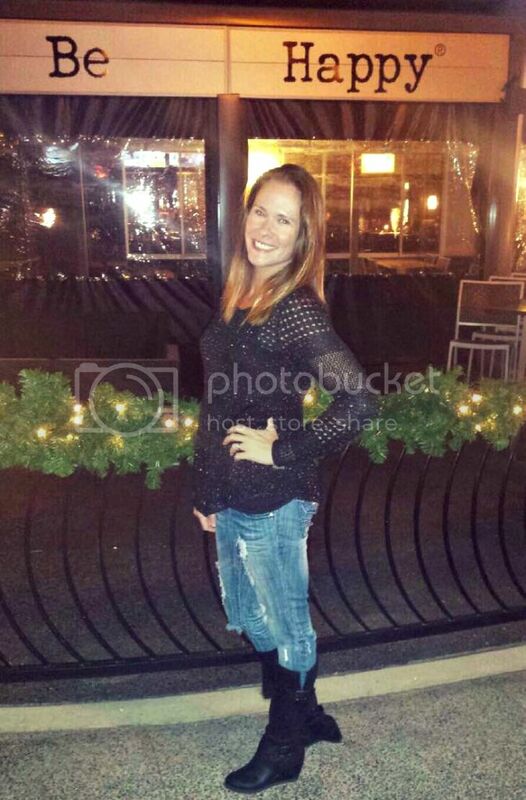 This is a great post and I love her! I think this goes to show the world that she can wear a bedsheet with some electrical tape and still be a phenom on the red carpet. No one else could have worn that. She is just ... I love her. Total girl crush. Did you see the picture comparing her dress to the sail/rope thing that Ariel wears when she first becomes human in The Little Mermaid? Hilarious! I was just going to say exactly what Karen said, about Ariel. So funny! I actually didn't mind it. I love her so much and she totally deserved the award. She was AMAZING in American Hustle! And I love Nicholas Hoult! She's great but that dress was ridiculous!! LOVE love love the images of people dressing up as her, that's hilarious...I bet she found it funny too! !